Ready to take on your next restaurant outing in style? Simply schedule a test drive today. HAVANA BROWN METALLIC exterior and JET BLACK interior, LT trim. 4x4, Alloy Wheels, Bed Liner, Back-Up Camera, Onboard Communications System, CD Player, Satellite Radio, Trailer Hitch, ENGINE, VORTEC 6.0L VARIABLE VALVE TI... READ MORE! KEY FEATURES INCLUDE 4x4, Back-Up Camera, Satellite Radio, CD Player, Onboard Communications System, Aluminum Wheels Privacy Glass, Keyless Entry, Steering Wheel Controls, Electronic Stability Control, Heated Mirrors. OPTION PACKAGES ALL STAR EDITION includes (AG1) driver 10-way power seat adjuster with (AZ3) bench seat only, (CJ2) dual-zone climate control, (BTV) Remote Vehicle Starter system, (C49) rear-window defogger, (N37) manual tilt and telescopic steering column and (KI4) 110-volt power outlet, (Z82) Trailering Package, (JL1) trailer brake controller, (VXJ) 4 round chrome tubular assist steps, LPO and (T3U) front fog lamps, WHEELS, 18 (45.7 CM) CHROMED ALUMINUM includes 18 x 8 (45.7 cm x 20.3 cm) steel spare wheel. LT PLUS PACKAGE includes (A48) rear sliding power window, (UG1) Universal Home Remote, (UD7) Rear Park Assist, (JF4) power adjustable Pedals and (C49) rear-window defogger, BED LINER, SPRAY-ON Pickup box bed liner with bowtie logo. Liner is permanently bonded to the truck bed providing a water tight seal. The textured, non-skid surface is black in color and robotically applied. Spray-on liner covers entire bed interior surface below side rails, including tailgate, front box top rail, gauge hole plugs and lower tie down loops. GOOSENECK/5TH WHEEL PREP PACKAGE -- HITCH PLATFORM TO ACCEPT GOOSENECK OR FIFTH WHEEL HITCH. Includes Hitch platform with tray to accept ball and drilled box holes with caps installed, box mounted 7-pin trailer harness (similar to (UY2) harness). LPO Plus tax, title and license. Prices include $200 dealer doc fee. See dealer for Stock Numbers. Price contains all applicable dealer incentives and non-limited factory rebates. You may qualify for additional rebates; see dealer for details. Heated Seats, 4x4, Turbo Charged, Alloy Wheels, Back-Up Camera, Onboard Communications System, CD Player, Satellite Radio, Trailer Hitch, REMOTE VEHICLE STARTER SYSTEM. SUMMIT WHITE exterior and JET BLACK interior, LT trim. CLICK ME! KEY FEATURES INCLUDE 4x4, Back-Up Camera, Satellite Radio, CD Player, Onboard Communications System, Chrome Wheels, WiFi Hotspot Keyless Entry, Privacy Glass, Steering Wheel Controls, Heated Mirrors, Electronic Stability Control. OPTION PACKAGES ENGINE, DURAMAX 6.6L TURBO-DIESEL V8, B20-DIESEL COMPATIBLE (445 hp [332 kW] @ 2800 rpm, 910 lb-ft of torque [1220 Nm] @ 1600 rpm) Includes capped fuel fill, (K40) exhaust brake and (K05) engine block heater. ), CUSTOM SPORT EDITION includes (AQC) Appearance Package, (UD5) front and rear park assist, (TC7) body-color grille with chrome bars, (VB5) body-color front bumper, (VT5) body-color rear bumper, (CGN) spray-on bedliner and (PYU) 20 (50.8 cm) polished aluminum wheels on 1LT. 1LT trim also includes (T3U) fog lamps, (DP9) chrome mirror caps, (B85) chrome body-side moldings and (E20) chrome door handles. LT CONVENIENCE PACKAGE includes (AG1) driver 10-way power seat adjuster when ordered with (AZ3) bench seats only, (BTV) Remote vehicle starter system, (C49) rear-window defogger, (N37) manual tilt and telescoping steering column, (KI4) 110-volt power outlet, (T3U) fog lamps and (CJ2) dual-zone climate control, LT PLUS PACKAGE includes (A48) rear sliding power window, (UG1) Universal Home Remote, (UD7) Rear Park Assist, (JF4) power-adjustable Pedals and (C49) rear-window defogger, TRAILERING EQUIPMENT Trailering hitch platform 2.5 with a 2.0 insert for HD, 7-wire harness with independent fused trailering circuits mated to a 7-way sealed connector to hook up parking lamps VISIT US TODAY Chevrolet Buick GMC of Fairbanks sells new, certified pre-owned and used cars Plus tax, title and license. Prices include $200 dealer doc fee. See dealer for Stock Numbers. Price contains all applicable dealer incentives and non-limited factory rebates. You may qualify for additional rebates; see dealer for details. Heated Seats, 4x4, Turbo Charged, Chrome Wheels, Back-Up Camera, Onboard Communications System, CD Player, Satellite Radio, Trailer Hitch, SEATING, HEATED DRIVER AND FRONT PASS... LT trim, BLACK exterior and JET BLACK interior SEE MORE! KEY FEATURES INCLUDE 4x4, Back-Up Camera, Satellite Radio, CD Player, Onboard Communications System, Chrome Wheels, WiFi Hotspot Keyless Entry, Privacy Glass, Steering Wheel Controls, Heated Mirrors, Electronic Stability Control. OPTION PACKAGES ENGINE, DURAMAX 6.6L TURBO-DIESEL V8, B20-DIESEL COMPATIBLE (445 hp [332 kW] @ 2800 rpm, 910 lb-ft of torque [1220 Nm] @ 1600 rpm) Includes capped fuel fill, (K40) exhaust brake and (K05) engine block heater. ), CUSTOM SPORT EDITION includes (AQC) Appearance Package, (UD5) front and rear park assist, (TC7) body-color grille with chrome bars, (VB5) body-color front bumper, (VT5) body-color rear bumper, (CGN) spray-on bedliner and (PYU) 20 (50.8 cm) polished aluminum wheels on 1LT. 1LT trim also includes (T3U) fog lamps, (DP9) chrome mirror caps, (B85) chrome body-side moldings and (E20) chrome door handles. LT CONVENIENCE PACKAGE includes (AG1) driver 10-way power seat adjuster when ordered with (AZ3) bench seats only, (BTV) Remote vehicle starter system, (C49) rear-window defogger, (N37) manual tilt and telescoping steering column, (KI4) 110-volt power outlet, (T3U) fog lamps and (CJ2) dual-zone climate control, LT PLUS PACKAGE includes (A48) rear sliding power window, (UG1) Universal Home Remote, (UD7) Rear Park Assist, (JF4) power-adjustable Pedals and (C49) rear-window defogger, TRAILERING EQUIPMENT Trailering hitch platform 2.5 with a 2.0 insert for HD, 7-wire harness with independent fused trailering circuits mated to a 7-way sealed connector to hook up parking lamps WHO WE ARE Chevrolet Buick GMC of Fairbanks sells new, certified pre-owned and used cars Plus tax, title and license. Prices include $200 dealer doc fee. See dealer for Stock Numbers. Price contains all applicable dealer incentives and non-limited factory rebates. You may qualify for additional rebates; see dealer for details. Heated Seats, 4x4, Turbo, Alloy Wheels, Back-Up Camera, Onboard Communications System, CD Player, Satellite Radio, Tow Hitch, SEATING, HEATED DRIVER AND FRONT PASS... SUMMIT WHITE exterior and JET BLACK interior, LT trim. SEE MORE! KEY FEATURES INCLUDE 4x4, Back-Up Camera, Satellite Radio, CD Player, Onboard Communications System, Chrome Wheels, WiFi Hotspot. Keyless Entry, Privacy Glass, Steering Wheel Controls, Heated Mirrors, Electronic Stability Control. OPTION PACKAGES ENGINE, DURAMAX 6.6L TURBO-DIESEL V8, B20-DIESEL COMPATIBLE (445 hp [332 kW] @ 2800 rpm, 910 lb-ft of torque [1220 Nm] @ 1600 rpm) Includes capped fuel fill, (K40) exhaust brake and (K05) engine block heater. ), CUSTOM SPORT EDITION includes (AQC) Appearance Package, (UD5) front and rear park assist, (TC7) body-color grille with chrome bars, (VB5) body-color front bumper, (VT5) body-color rear bumper, (CGN) spray-on bedliner and (PYU) 20 (50.8 cm) polished aluminum wheels on 1LT. 1LT trim also includes (T3U) fog lamps, (DP9) chrome mirror caps, (B85) chrome body-side moldings and (E20) chrome door handles. LT CONVENIENCE PACKAGE includes (AG1) driver 10-way power seat adjuster when ordered with (AZ3) bench seats only, (BTV) Remote vehicle starter system, (C49) rear-window defogger, (N37) manual tilt and telescoping steering column, (KI4) 110-volt power outlet, (T3U) fog lamps and (CJ2) dual-zone climate control, LT PLUS PACKAGE includes (A48) rear sliding power window, (UG1) Universal Home Remote, (UD7) Rear Park Assist, (JF4) power-adjustable Pedals and (C49) rear-window defogger, TRAILERING EQUIPMENT Trailering hitch platform 2.5 with a 2.0 insert for HD, 7-wire harness with independent fused trailering circuits mated to a 7-way sealed connector to hook up parking lamps MORE ABOUT US Chevrolet Buick GMC of Fairbanks sells new, certified pre-owned and used cars Plus tax, title and license. Prices include $200 dealer doc fee. See dealer for Stock Numbers. Price contains all applicable dealer incentives and non-limited factory rebates. You may qualify for additional rebates; see dealer for details. Heated Leather Seats, Moonroof, GOOSENECK/5TH WHEEL PREP PACKAGE -- HITCH PLATFORM TO ACCEPT GOOSENECK OR FIFTH WHEEL HITCH. Turbo Charged Engine, 4x4, Hitch. LTZ trim, SILVER ICE METALLIC exterior and JET BLACK interior CLICK ME! KEY FEATURES INCLUDE 4x4, Back-Up Camera, Satellite Radio, Onboard Communications System, Chrome Wheels, Remote Engine Start, Dual Zone A/C, WiFi Hotspot Privacy Glass, Keyless Entry, Electronic Stability Control, Alarm, Electrochromic rearview mirror. OPTION PACKAGES SILVERADO HD TRIBUTE EDITION includes unique decals (flag inspired fender, door and pickup box), Z71 front door badge, (P3H) front and rear Black bowties, Chrome lower skid plate, (CGN) spray-on bedliner, (9R1) Z71 pickup box decal delete and (UD5) Front and Rear Park Assist, LTZ PLUS PACKAGE includes (JF4) power adjustable pedals, (UQA) Bose premium audio system, (UVD) heated steering wheel and (UD5) Front and Rear Park Assist, SUNROOF, POWER, LPO, ASSIST STEPS - 6 CHROMED RECTANGULAR, SEATING, HEATED AND VENTED PERFORATED LEATHER-APPOINTED FRONT BUCKET, SEATS, FRONT FULL-FEATURE LEATHER-APPOINTED BUCKET with (KA1) heated seat cushions and seat backs. Includes 10-way power driver and front passenger seat adjusters, including 2-way power lumbar control, 2-position driver memory, adjustable head restraints, (D07) floor console, storage pockets and (K4C) Wireless charging. AUDIO SYSTEM, CHEVROLET INFOTAINMENT SYSTEM WITH NAVIGATION AND 8 DIAGONAL COLOR TOUCH-SCREEN, AM/FM STEREO with seek-and-scan and digital clock, includes Bluetooth streaming audio for music and select phones; USB ports; auxiliary jack; voice-activated technology for radio and phone; and Shop with the ability to browse, select and install apps to your vehicle. Apps include Pandora, iHeartRadio, The Weather Channel and more. Plus tax, title and license. Prices include $200 dealer doc fee. See dealer for Stock Numbers. Price contains all applicable dealer incentives and non-limited factory rebates. You may qualify for additional rebates; see dealer for details. NAV, Heated Leather Seats, Sunroof, 4x4, Turbo, Alloy Wheels, SUNROOF, POWER, MIRRORS, CHROME, OUTSIDE HEATED POWER... DURAMAX PLUS PACKAGE. SUMMIT WHITE exterior and JET BLACK / MED ASH GRAY interior, High Country trim. SEE MORE! KEY FEATURES INCLUDE Leather Seats, 4x4, Heated Driver Seat, Cooled Driver Seat, Back-Up Camera, Running Boards, Premium Sound System, Satellite Radio, Onboard Communications System, Trailer Hitch, Chrome Wheels, Remote Engine Start, Dual Zone A/C, WiFi Hotspot, Heated Seats. Privacy Glass, Keyless Entry, Steering Wheel Controls, Alarm, Electronic Stability Control. OPTION PACKAGES DURAMAX PLUS PACKAGE includes (L5P) Duramax 6.6L Turbo-Diesel V8 engine, (MW7) Allison 1000 6-speed automatic transmission, (GT4) 3.73 rear axle ratio, (K05) engine block heater and (K40) exhaust brake (Includes (DQS) Chrome, outside heated power-adjustable vertical trailering mirrors and (VQY) chrome recovery hooks, LPO. ), SUNROOF, POWER, MIRRORS, CHROME, OUTSIDE HEATED POWER-ADJUSTABLE VERTICAL TRAILERING, MEMORY-EQUIPPED, UPPER GLASS, POWER-FOLDING AND MANUAL EXTENDING; Includes integrated turn signal indicators, consisting of 51 square inch flat mirror surface positioned over a 24.5 square inch convex mirror surface with a common head and lower convex spotter glass (convex glass is not heated and not power-adjustable) and addition of auxiliary cargo lamp for backing up (helps to see trailer when backing up with a trailer) and amber auxiliary clearance lamp, LPO, ALL-WEATHER FLOOR LINER, ENGINE, DURAMAX 6.6L TURBO-DIESEL V8, B20-DIESEL COMPATIBLE (445 hp [332 kW] @ 2800 rpm, 910 lb-ft of torque [1220 Nm] @ 1600 rpm) Includes capped fuel fill, (K40) exhaust brake and (K05) engine block heater. AUDIO SYSTEM Plus tax, title and license. Prices include $200 dealer doc fee. See dealer for Stock Numbers. Price contains all applicable dealer incentives and non-limited factory rebates. You may qualify for additional rebates; see dealer for details. North Pole drivers love the Chevrolet Silverado 2500’s towing capabilities, its luxury interior, and its intimidating presence on icy roads. But critics review the Chevy Silverado 2500 favorably, as well. 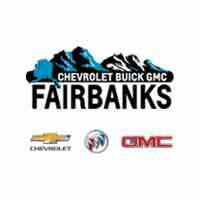 The Chevrolet Silverado 2500 is best experienced, and you can do just that here at our Fairbanks dealership. Here, we set a higher standard for customer satisfaction. Explore our specials to get a great deal on your next Silverado 2500, and then when you’re ready, apply for financing online. Questions? Reach out to our team.